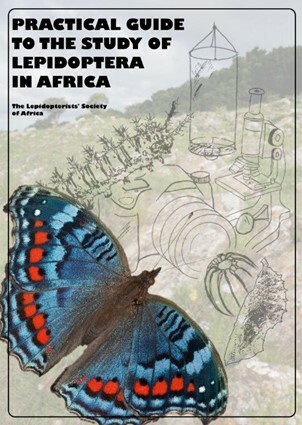 In December 2015 the Lepidopterists’ Society of Africa (LepSoc Africa) published a new book, “Practical Guide to the Study of Lepidoptera in Africa”. This is a major update of LepSoc Africa’s 1992 book, “Practical Guide to Butterflies and Moths in Southern Africa” that was a great success and sold out long ago, and is the essential guide for all African lepidopterists, whether beginners or already experienced. The new book has been published as PDFs of each chapter and sections. It is available free of charge to paid up LepSoc Africa members, but can also be obtained by non members by purchasing it (see below). If you do not wish to become a LepSoc Africa member, and just want to purchase the publication you can do so below.